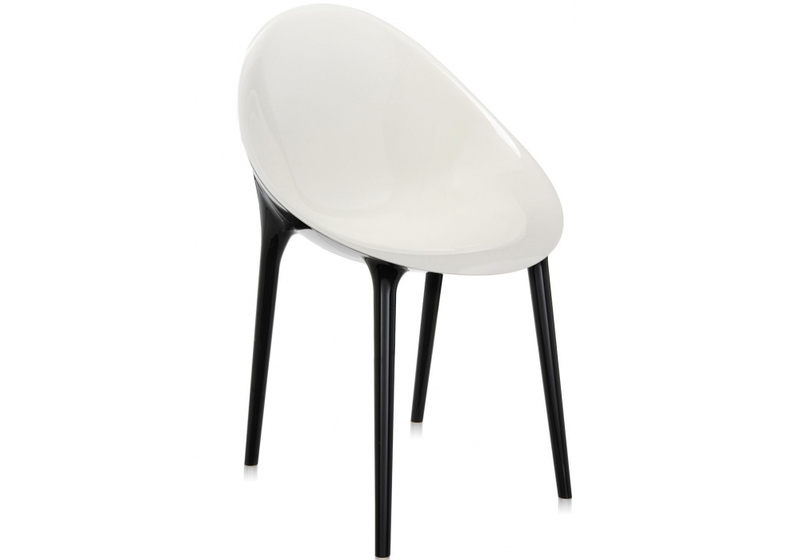 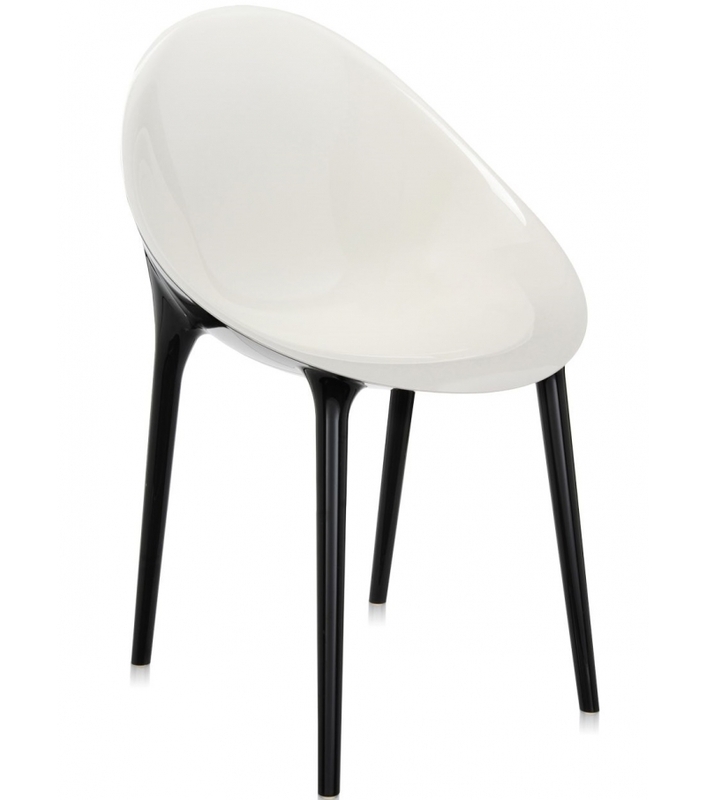 Super Impossible is a chair designed by Philippe Starck con Eugeni Quitllet for Kartell. 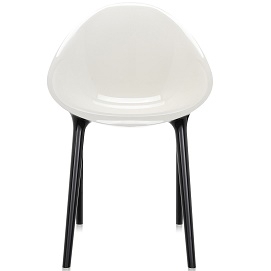 The little armchair with the egg-shaped seat, the first in the world to be laser-welded, is transformed by its new, surprising, glossy look. Super Impossible is a chair designed by Philippe Starck con Eugeni Quitllet for Kartell. 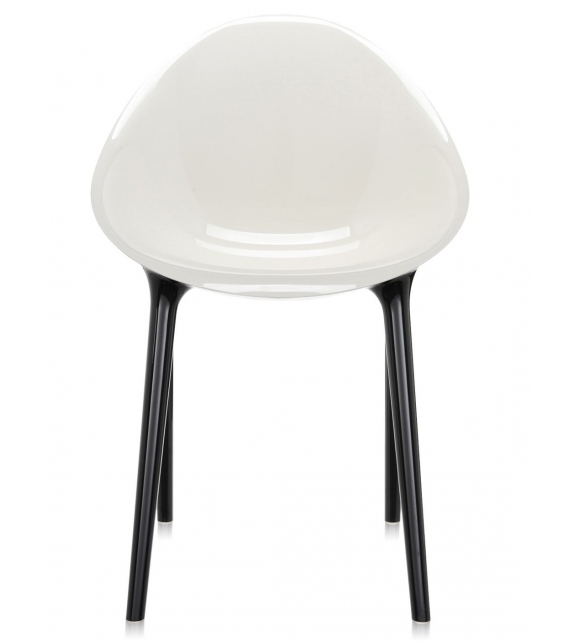 The little armchair with the egg-shaped seat, the first in the world to be laser-welded, is transformed by its new, surprising, glossy look. 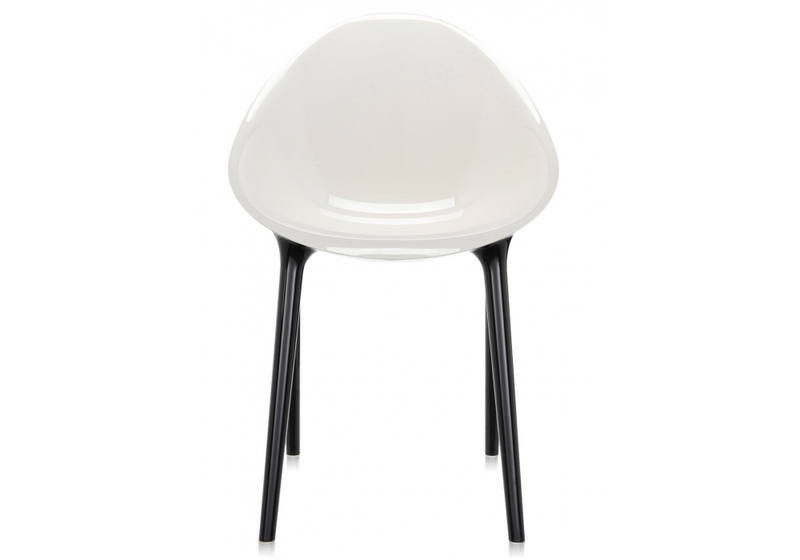 The solid colour finish gives Super Impossible a glossy, sensual, striking look in the single colour glossy black version, or in the elegant two tone optical version with a white upper shell and black lower shell and legs.